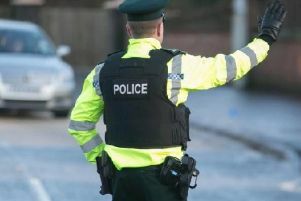 A 29-year-old man who assaulted a paramedic and spat and screamed at hospital staff was jailed for four months last Friday at Craigavon Magistrates Court. Robert Wilson, whose address was given as Ardowen, Craigavon, appeared in court via videolink from Maghaberry prison. He admitted two assaults, criminal damage to an arm rest and disorderly behaviour at Craigavon Area Hospital on January 25 this year. The court heard that a patient at the hospital had become violent. Wilson assaulted a paramedic and he was screaming, spitting and kicking out at staff. When he was picked up he tried several times to attack the paramedic and the driver stopped to get in the back. He was kicked on the leg and couldn’t finish his shift. A barrister representing the defendant said he had been hit by a car and was disgusted by his behaviour. He added that when Wilson sobered up held his hands up and would apologise to staff. District Judge, Mrs Bernie Kelly, said the defendant was in the ambulance because of the injuries he had received. She added that it was getting to the stage where members of staff were in dread and fear of the Mr Wilsons of this world. Judge Kelly said she would give him credit for his plea of guilty but it was an aggravating feature that this was an attack on paramedics and it happened in a hospital. For each of the charges she imposed an immediate sentence of four months in prison with the terms to run concurrently. “He can’t carry on like this,” she commented.